The Niagara Navigator is an interactive mapping tool containing information about natural features, political boundaries, planning, and cultural and recreational features in Niagara. It can be used to help make more informed decisions and get answers to questions for a specific area or topic that involves a geographic dimension. The datasets that inform the Niagara Navigator tool can be found on the Niagara Open Data Portal, in the Arts & Culture group: https://niagaraopendata.ca/dataset?groups=arts-and-culture. The following table is a sample of the City of Welland Heritage Properties dataset from the Niagara Open Data Portal. There are 52 records in the dataset. Source: Niagara Region. 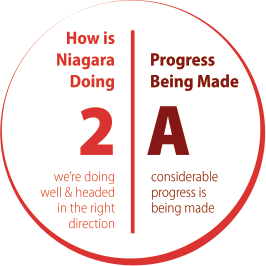 Niagara Culture Plan: Appendix 1 – Cultural Mapping Summary Report. The Niagara South Coast Arts & Culture Route is a self-guided, year-round guide to the studios and galleries across Wainfleet, Port Colborne, and Fort Erie. The scenic route on this map spans 50 kilometres of country roads, downtown shopping districts, farmland, and along a coastline of pristine beaches and rocky shores.